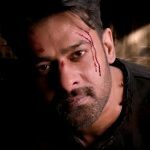 On the morning of 23rd October which happens to be our onscreen Baahubali, Prabhas’s birthday, the superstar took to Facebook and released a special video giving a sneak peek into his next big ticket film, Saaho. 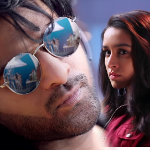 Starring Pan India superstar Prabhas and Bollywood actress Shraddha Kapoor in leading roles, ‘Saaho’ will also have an ensemble cast of Jackie Shroff, Neil Nitin Mukesh, Mandira Bedi, Chunky Pandey, Mahesh Manjrekar, Arun Vijay, Murali Sharma, amongst others. Prabhas’s next big outing Saaho is a high octane action thriller, trilingual film, the shoot for which is currently under progress. A UV Creations production , ‘Saaho’ is produced by Vamsi, Pramod, Vikram and directed by Sujeeth.